Home/Affiliate Marketing, Affiliate Programs/What are the Best Affiliate Marketing Networks for Beginners? The Best Affiliate Marketing Networks for Beginners that Will Help You Start Earning Money Fast! The best affiliate marketing networks for those just starting out are the ones that are easy to join, and will bring some revenue without the need for a well established and long-lived web presence. As long as you have a website with Quality Content you should be “good to go”. But you will need a website – most affiliate networks will require you to submit one, and all prospective affiliate partners will want to see your site. Click bank would be the only exception that I know of at this time although there may be more. If you need an explanation of affiliate marketing terms when looking into these, check out the glossary page. Before I jump into the Top 5 Affiliate Networks for Beginners, I want you to know that these are just a few of the many countless options you have, but I think they are the best to begin with. Find out their payment schedules, policies and terms. Does the affiliate network keep you updated of any changes? What are the chargeback procedures for returns. Does the affiliate network have the necessary tools to keep track of your campaigns? Are there good tracking methods to determine which ads are successful and which are not? Is there help available if you need it? Compare commission rates and payment schedules. Sometimes the network will set the commission percentage like Amazon, but many if not most, will be set by the vendor. The higher the better! Check the affiliate network profile and management. 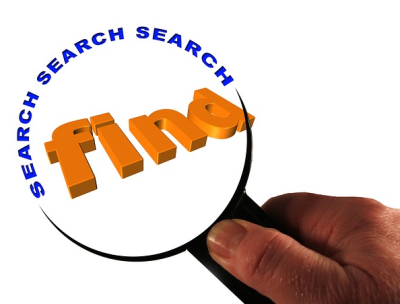 Be sure to read the Rules and Guidelines of any network and program you may want to join – take note of the type of advertising allowed, and keyword bidding limitations for PPC campaigns (this is usually set by the vendors). Check the lifespan of your affiliate cookie. Cookies will track your sale, but the duration can vary widely. I’ve seen cookies last just one day and up to a year – the average is probably around 30 days. The longer the better. When looking at these networks, browse to the affiliate categories and narrow it down to areas of interest for your targeted niche. 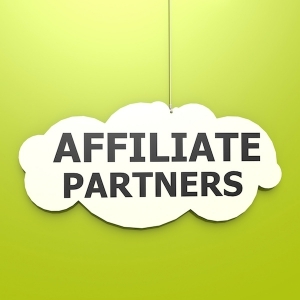 Analyze each affiliate program that may fit your site but be careful, if it’s not a good fit don’t use it! Once a network has been chosen, do you know exactly the product you’re promoting? Have you personally used this product? … and if not, would you buy it yourself? Sounds silly but, make sure you know the product! … and don’t put it on your site if it’s nothing you can stand behind or give your “thumbs up” to, unless it’s a review on a product. Just about the easiest affiliate network for the beginner to start with. You have to be really careful though in choosing what to promote. Click bank tends to include a lot of scammy and just plain bad products. Take your time and throughly check out whatever looks appropriate for you and do your homework. I guarantee you can still find some terrific things to promote that you can feel good about – and make some great cash from! Be sure to check out all sales pages to see how their products are advertised and what guarantees they have set in place. Clickbank has a good earning capacity with affiliate percentages on average of up to 50% on products. Not bad! NEVER promote anything for the money – promote it for its VALUE to the consumer! Look at the sales pages as a customer would, it is them you are trying to help solve a problem for. Amazon has literally millions of products for sale and its affiliate program is easy to apply for and be accepted into. You WILL need a website for Amazon as mentioned previously. Amazon “differentiates itself from other affiliate programs by offering a trusted brand experience”, which I agree is a huge advantage in some respects. Everyone knows these brand names and are usually “ready to buy”. 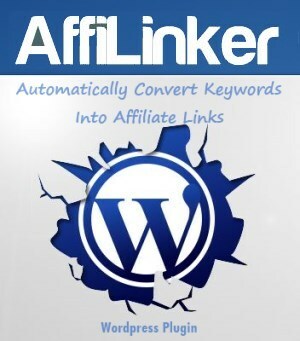 They supply an endless array of affiliate links, banners and text links to suit anyones need. Definitely check them out. An affiliate network providing pay-per-sale, pay-per-lead, and pay-per-click programs for webmasters. I found this to be a good one for beginners as well. Easy to sign on with and has a great reputation for being a very well run and maintained site for both vendors and affiliates. 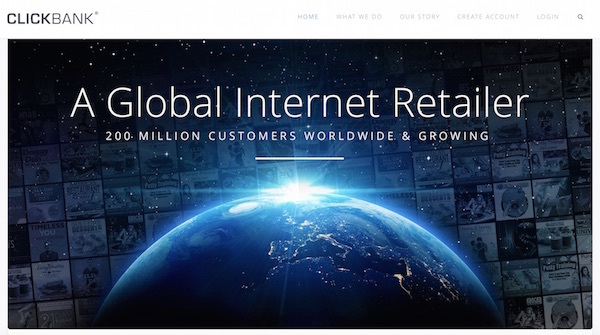 Now called Rakuten Affiliate Network, Linkshare has held a strong position in the affiliate marketing world for a long time now and in my opinion should be on everyone’s list of affiliate networks to do business with. AvantLink is an industry leading cost-per-sale tracking and technology platform with excellent support. Their core values of Innovation, Integrity, Excellence, Quality over Quantity, and Great Customer Service make this choice hard to ignore! An impressive set of affiliate tools coupled with a group of awesome people running Avantlink’ you just can’t go wrong. What more could anyone ask for? Give them a try – I think you’ll be very pleased. … the best affiliate marketing programs for beginners are not only the ones that are the easiest to implement and bring in cash quickly, but also keep your integrity intact. Your reputation is your most important asset! Protect it. i.e. – good quality content on your website along with quality affiliate products! If you’re interested in seeing my #1 pick for the best way to learn and implement affiliate marketing, take a serious look at Wealthy Affiliate – but please realize there is “no free ride” and that it takes work just like anything worthwhile! … you will be pleasantly surprised! My all-time favorite hangout! If you are just starting out or even just thinking about affiliate marketing, reading Is Affiliate Marketing for Beginners and Making Money Online – Affiliate Marketing for Beginners may be helpful for you. Fastest Way to Sales in Affiliate Marketing – What’s the Best? Joanne, your site not only provides some great information but also some great advice for developing a long term service that can continue to grow. Thank you. Very nice list of affiliate marketing networks indeed. I have to say ClickBank’s products are not really the best though, most of them are poor quality â€“ otherwise I agree with you on all the others. What I like is you mention about authenticity and only promoting good products. A lot of times I see affiliate marketers just promote anything they found they can profit from and it shows in the way they talk about it. To me, I think it’s best to find products you like first then find out its’ affiliate program for it instead, what do you think? Clickbank you have to go over with a fine tooth comb, but I still say there are some good ones … but in general I absolutely agree and end up staying away from a lot of them. Not only that, but many are outdated! I think you said it pretty well Anh! Thanks for this post. I am just getting into affiliate marketing and had no idea any of these other sites (other than clickbank) even existed so I have learn something today! This will give me a few more options to explore as I have also heard clickbank can be a bit scammy. I was just wondering whether you have one you use specifically or do you use a combination? I actually use all of the networks listed here. Depending on your niche, you may find that some networks have a limited number of appropriate products for your site and you will need to use different sources. Clickbank can be good, but check those out very carefully. I am impressed by the way you have evaluated the different affiliate networks. Thank You! I don’t understand why LinkShare changed their name to Rakuten affiliate network – do you? Rakuten LinkShare Corporation is the wholly owned U.S. division of Rakuten, Inc., a Japanese shopping portal. Rakuten Inc., is one of Japan’s largest online shopping service (Hiroshi Mikitani founded Rakuten in 1997). They bought the U.S. internet-based market research company LinkShare Corp. for $425 million in cash back in 2005. Great article. I too am looking for a good affiliate network to use. I use Share-a-Sale and I am an Amazon Associate, but next I think I will check out ClickBank. Check Clickbank out for sure – just be careful! There are a lot of bad products there, but there are also some real good ones too! I see you are promoting Video Games. Have you ever checked out GameStop.com? You may have better luck searching for “video game affiliate networks”, although you should still be able to find what you’re looking for with the other networks noted. I’ll be posting soon about finding products for “narrow” niches – keep tuned. There will always be products for ANY niche. Thank you for this excellent article regarding affiliate markets to explore in order to expand our product selection for our visitors. Sadly, I was only familiar with the top two, but have stumbled upon a few to fit my particular niche(s). You have a great website here. Congratulations! I’m looking forward to learning more. There are a lot of affiliate networks out there. I’ll be listing more but these are good “starters” for the beginner. I don’t think there is any niche you won’t find affiliate partners for – just have to hunt them down. Glad you visited! Check back again! 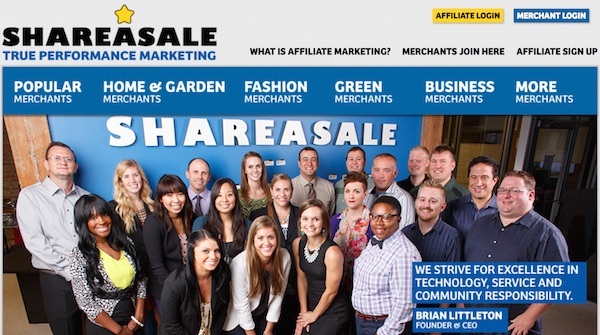 Very nice job in listing what to look for when you are looking for an affiliate network. Knowing that they have a good tracking system or tools and at least 30 days for cookies is a good thing to keep up on. Your list of top affiliate networks for beginners is right on too! Cookie duration is something I pay attention to. If the cookie duration is shorter than 15 days I usually don’t even consider it. The longer the better. A 15-30 day cookie seems to be the average. Thanks for the great recommendations for affiliate networks! I am part of Amazon affiliate and I like how easy it is to use. It is not a big commission though so making money only with that program would be hard. I have checked out Clickbank but could not find anything really related to my niche. And as you say, I do not want to promote a product just to promote a product. I am selective in what I put on my site because it affects my credibility. But now Share-A-sale seems like an interesting one. I am looking to join one or 2 more affiliate networks so I will check it out! I agree with your thinking! You have to fully stand behind the products you promote – never jeopardize integrity! Yeah, you need a pretty good amount of traffic to your site to get decent revenue from Amazon. Having said that though, I know folks who do pretty good with it – once you have more visitors it will get better for you, and you can always direct them to the higher cost quality items to make that commission just a bit larger. It will come in time. … and as far as Clickbank goes, you do have to check them out well as you’ve discovered. Since they are all digital products too, their niches are usually a little less varied. … I’ll be adding more affiliate networks to the list soon. Great post! Most people who are getting started don’t really know what qualities to look for in an affiliate network, because they don’t have the benefit of hindsight. And to be honest, I had never heard of Rakuten and Avantlink before you shared this – good to know. Also true – integrity is something that I certainly value when I’m shopping online. If I feel like someone is just out to make a buck off me, I’ll quickly move on; whereas, those sites which are actually helpful have got my attention. You’ll find questionable and scammy products easily online – they’re out there. These may be enticing with great commissions, but be sure to stay away from them or you will suffer in the end. Once you are considered a scammer, there is no “getting out of it”. I only promote reputable and honest products – always! I would just like to say thanks for the information you have provided here about affiliate marketing. I’ve been scouring the internet looking for some good affiliate programs to join to monetize my own website and I found some very useful info here to enable myself to move forward in affiliate marketing. Great article! 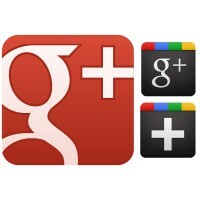 I will be sure to bookmark your site and return to see any future posts from you. Glad it was helpful. There are really quite a few affiliate networks out there, but these are good choices for the beginner to start with. – I will be elaborating on the others in short order. There are many I can guarantee you have never heard of before, but prove to be excellent networks. It will be automatically emailed to you when posted if you sign up for APR Updates. Thanks for checking in Simon! I am very surprised that you have gotten the time to review most of the affiliate marketing platforms that I am already a member of – Amazon Associates and recently submitted my application to Shareasale for review. I think you have forgotten one profitable product, the giant SHOPIFY. Nice post and are on point with great content. … there are a lot more out there but these are good ones to start with. I’ll be posting on many more affiliate networks that can bring you some really good opportunities – so check back. If you’re just starting out with affiliate marketing, you want to remember to take it one step at a time so you can fully understand and implement the “best practices” for success. I’m new at online affiliate businesses. I’ve heard of ClickBank and Amazon. The other 3 recommendations you have are new to me. I’ll definitely be looking into to these. THANKS! Yeah – Clickbank and Amazon are probably the most well known affiliate networks and good ones to start with, but there are many others I will be posting about in the near future. Once you get your “feet wet” a little, you can really expand your product offerings in a big way – keep tuned! 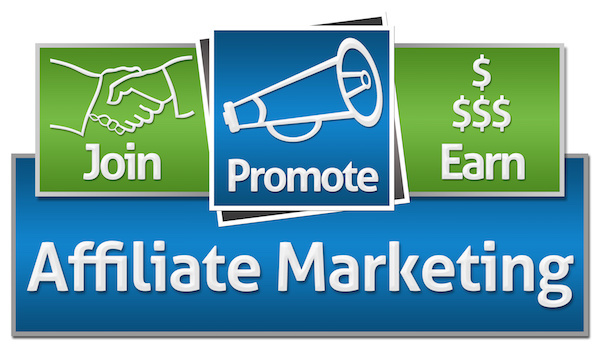 Affiliate marketing is a fabulous way to earn $$$, especially for internet marketing newcomers. Hi. I’ve recently decided to make money from affiliate marketing and I am in the middle of building a website. I was searching for affiliate programs to promote and luckily I arrived on your website. I realised I had some problems which I have now resolved. I like the way you explain what to check for when determining which affiliate program to promote. Can I ask if any programs would give you the program for free so you would have a better idea of what you are promoting or do you have to pay for them? Really glad o see you’ve chosen affiliate marketing as a way to earn. It works – plain and simple. But it really has to follow some basic concepts though to be really successful. Find a need, solve a problem, make recommendations that will help your reader, and do it consistently! Once you choose an affiliate network to work with, check out the vendors and their products to see if they are suitable. Unfortunately, most will not let you “try before you buy” (Wealthy Affiliate is one exception). You have to either purchase it yourself, or do research on the product to be able to gain enough knowledge to critique or review the product adequately. Of course you could just put the affiliate link on your site and hope for sales, but people really want to seek out information on it and it’s your job to give it to them – unbiased, fair and objective! Let me know if I can ever help out Mike! Hi Joanne. I can’t agree more with your brilliant post. Affiliate marketing can be awesome, especially if you marry quality content with cool and relevant affiliate offers. I would also like to buttress your point on ClickBank (and other affiliate marketplaces offering digital products); you must be very careful when picking an affiliate offer because most of their offers are just hot air. Promoting digital products is highly profitable, but you can end up ruining your reputation because of the many useless offers available. Physical products are much safer in this regard, although you do get lower commissions. Having that out of the way, I believe GOOD digital products are one of the best ways to earn money online. The commissions are the greatest with almost always a lead into other relevant products the customer will most likely want. You must stay away from the “junk” though, and promote ONLY good quality products or you will just end up hurting yourself and your business. …. not worth it! I personally know only three out five you mentioned here. But, it is nice to explore more affiliate networks and do a split test on which one works the best. If given a choice, I would go for Clickbank because I prefer promoting digital products over physical. I think the process is much simpler isn’t it? How about your favourite? Physical or Digital? If you’re just starting out I think the affiliate networks mentioned above are great to begin with. Most people start with Clickbank for the reasons mentioned, but there are a lot of really great networks out there. If I had to guess, Clickbank and Amazon are probably the ones you’re familiar with, right? Try the others too! The longer you promote affiliate products you will be finding yourself looking and searching for “more”. 2014 Blue Book Top 20 Affiliate Networks might be interesting for you to take a look at too – when you’re ready to venture out a little bit more. I will be updating and adding a whole slew of affiliate networks for all skill levels shortly. Clickbank is great but BE CAUTIOUS! Promote only Quality products or you run the risk of doing yourself in. Digital products absolutely give you a better %rate with commissions, but depending on your niche you may need to sell physical products, and that’s NOT a bad thing. Try to choose a vendor with the highest payout if possible. Much of the success of your website and sales has to do with the great CONTENT you have – the sales will follow.